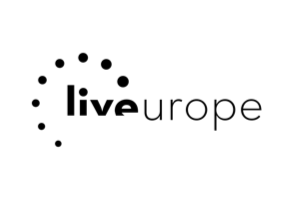 Liveurope is a membership initiative that supports the promotion of up-and-coming European musicians in 14 music venues in Europe. Established in 2014, Liveurope is the first initiative of its kind and it is supported by the Creative Europe Programme of the European Union. The platform works as a quality label awarded to live music venues committing to European diversity. The objective of Liveurope is to boost the programming of young European acts across the continent and help them reach new audiences.